What are the five most popular names for dogs? What are the five oldest baseball stadiums? Who were the five youngest United States presidents? The answers to those questions and dozens more are found in the new book Top 5 of Everything, presented by Time Home Entertainment Inc. and the editors of TIME For Kids. The lists featured in the book cover every topic, from animals, sports, technology, food, people and entertainment. 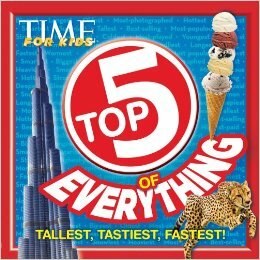 Top 5 of Everything (Time Home Entertainment Inc.; August 27, 2013; $11.99) goes on sale today and is available at timeforkids.com/top5 and retailers nationwide. The 144-page book for ages 8 and up is based on TIME For Kids’ most popular feature: the TFK Top 5. Similar to the magazine version, the lists have amusing and colorful illustrations accompanied by information at a glance. Each Top 5 list has guaranteed kid and parent appeal and is certain to surprise young readers who will refer to the book over and over. TIME For Kids is a weekly classroom news magazine that motivates kids to read! Issues cover a wide range of real-world, and topics in the news kids want to learn about. A powerful teaching tool, TIME For Kids builds reading and writing skills. To enter this giveaway, leave a comment below and tell us the funniest question your child has ever asked you about something. One entry per person; 2 winners; 2 prizes = each winner gets one Top 5 book. 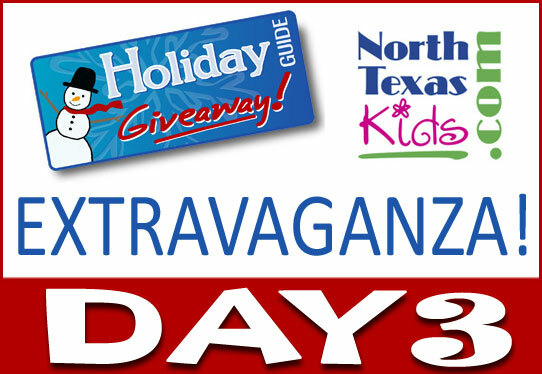 Contest ends Thursday, Dec 5th at 10pm CST. Winner will be notified by email and must respond by Friday, Dec 6th or forfeit the prize. Email used is the one you use to leave your comment below. My just-turned-3-year-old asked me the other day to find the “cotton ball” (Wrecking Ball) song on the radio so she could sing it. I found that pretty funny!